My 21st birthday is less then a month away! Which means I've been creating a birthday wish list. 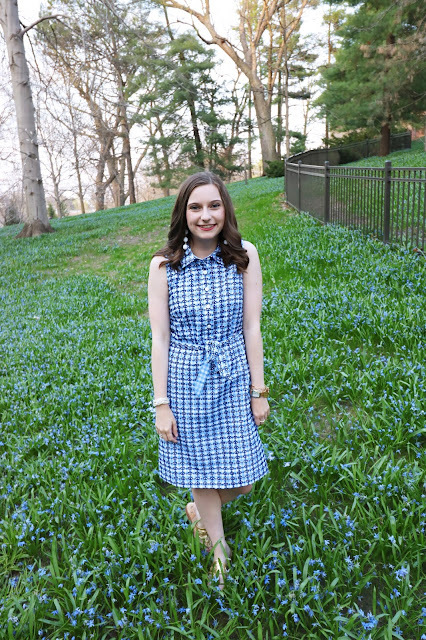 I thought I would share my wish list because this is the perfect birthday gift guide for any preppy girl. Also, a lot of these gifts would also make great graduation gifts! Recently I've been loving Rifle Paper Co. or anything stationary related. I'm loving art prints like the Chicago print, or the Gossip Girl print from History in High Heels Etsy shop. Not to mention this Rifle Paper Co. Lesportsac tote is so cute! A large pack of Le Pens are also on the wish list, they are my new favorite felt tip pen! Also, I recently tried Sugarfina's champagne gummy bears from their new Oakbrook location. Holy moly they are delicious! Do you have a June or summer birthday? What is on your birthday wish list? Let me know in the comments! These are all awesome ideas! 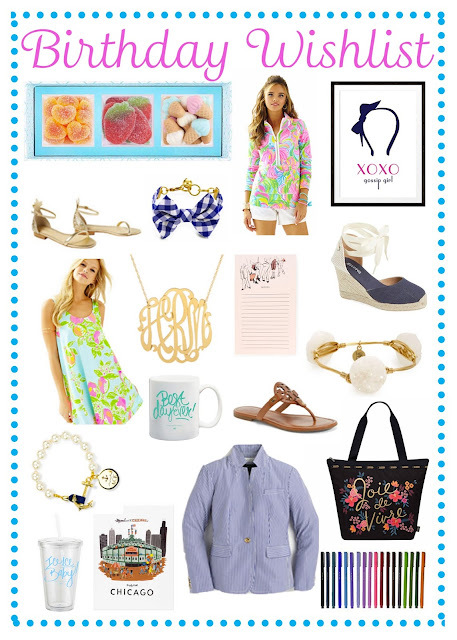 Love the monogrammed necklace and the Lilly P pull over! Thank you! Any of them would make perfect gifts :) thanks for reading!